Following are some items that were mentioned during the 18 October 2012 Fieldstone Common interview with Richard G. Tomlinson, author of Witchcraft Prosecution: Chasing the Devil in Connecticut. You can learn more about Richard G. Tomlinson and Witchcraft Prosecution from his author website. Witchcraft Prosecution: Chasing the Devil in Connecticut was published by Picton Press and copies are available for sale through the Connecticut Society of Genealogists. At this point it’s not available on Amazon.com. Information about the Samuel Wyllys Papers, 1668-1728 is available from the Connecticut State Library. The collection includes a helpful finding aid. Brown University also has a collection of the Wyllys (Samuel) papers, 1638-1757. 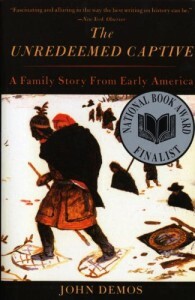 The Connecticut State Library has information about Colony of Connecticut Governor, John Winthrop, Jr.
Press Press, the publisher of Witchcraft Prosecution: Chasing the Devil in Connecticut, donated two copies that were given as a door prizes during the live show. A big thank you to the Picton Press for their generosity! Listen in to Fieldstone Common this week as host Marian Pierre-Louis talks to Richard G. Tomlinson, author of Witchcraft Prosecution: Chasing the Devil in Connecticut. Mercy Disbrow was convicted. A date was set for her hanging. An appeal was made. Then something extraordinary happened. Mercy was granted a reprieve that became a pardon, because of a technical error in the composition of the jury. The court said, “If a real and apparent murderer be condemned and executed outside of due form of law, it is indictable against them that do it.” The place was Hartford, Connecticut. The offense was witchcraft. The year was 1693. Connecticut’s colonial settlers feared witches. They came from an England where the prosecution of witches was rising to its peak, and they were anxious about the possible threats to their new settlements that witchcraft might represent. 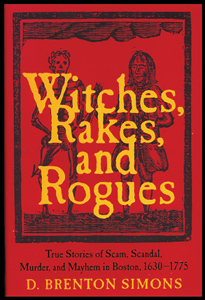 This book presents the evolution of witchcraft prosecution in Connecticut from the enactment of the law making it a capital offence in 1642 to its disappearance in the early 1700s. Richard G. Tomlinson, is a founder and director of the Connecticut Society of Genealogists, Inc. (www.csginc.org) and currently serves as Chair of the Publication Committee and as vice president. 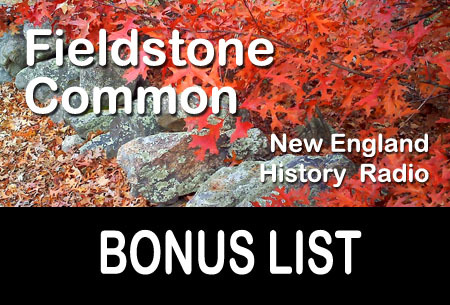 He created the annual CSG Literary Awards for Genealogy and Family History, and the CSG magazine, Connecticut Genealogy News, and has published many genealogical and family history articles. 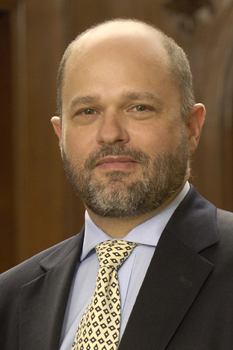 He is a contributing author to several scientific and technical books and the author of three histories including Witchcraft Trials of Connecticut and Tele-Revolution, A history of the creation of a competitive telecommunications industry 1984-2000. Picton Press released his latest book, Witchcraft Prosecution, Chasing the Devil in Connecticut, in August 2012. 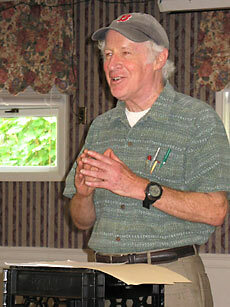 He is a member of the Board of Trustees of the Connecticut Historical Society. He is a descendant of Henry Tomlinson of Derby, England who settled in Milford, CT in 1650.